Got cow bones? 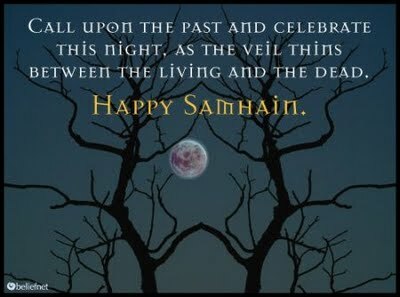 If you don’t, you won’t be able to completely celebrate Samhain in the Gaelic way. If you do have cow bones, this is an ideal time to put them on Craig’s List. 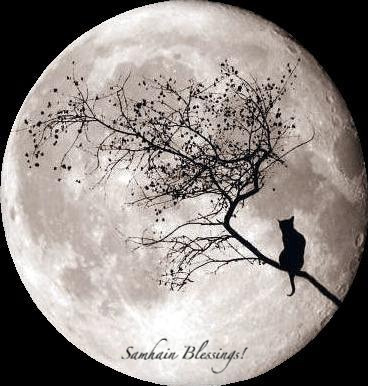 Much of today’s Halloween celebration is passed down from the Samhain tradition, which was celebrated to mark the end of harvest and the mid-point between the autumnal equinox and the winter solstice. The celebration begins at sunset on October 31 and continues through November 1. 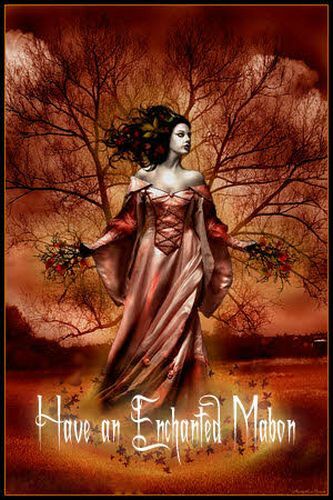 Samhain (pronounced Sah-ween) was marked in Ireland, Scotland and the Isle of Man. The name is a combination of sam, old Irish for summer, and huin, Gaelic for end. It also is the movement into the dark half of the year, a belief that has its origin with Celtic culture. It was also the Celtic new year. The scary part is that it was a festival of the dead, when the veil between the living and the dead was at its thinnest. Some contact with the dead was positive, but some spirits were malevolent and returned on Samhain to do haunting or damage property. Fairies also were said to steal away humans at Samhain. The use of masks and costumes, was supposed to ward off any evil spirits that were loose on Samhain. The most common Samhain custom was to build a bonfire on top of a hill. There was also a purification ritual involving walking between two bonfires. Cow bones were traditionally thrown into the Samhain bonfires. I’m not sure why, but cattle represented wealth. In Scotland the celebrants would build a ring of stones around the fire, one stone for each person, and run around the ring in the morning “exulting.” I’m not quite sure what was involved in exulting, but it sounds like fun. After the exultation, if anyone’s stone had shifted, it was believed that person would not live out the year. Party on. In Ireland, running through the smoke from the bonfire was thought to have protective influence. 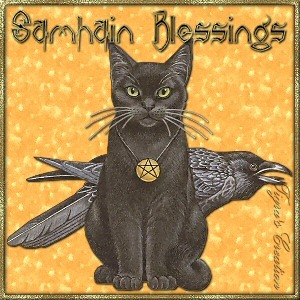 Halloween is the Christian version of Samhain. When the Roman Catholic Church was trying to banish paganism, the church simply absorbed and renamed holidays like Samain. Instead, as decreed by Pope Boniface IV over a thousand years ago, the name was changed to All Hallows Eve, and All Saints Day was established on November 1. This is the one “eve” that is bigger than the actual holiday. While New Year’s Eve and Christmas Eve are mostly precursors to the real holiday, Halloween has become a much more popular holiday than the day it’s eve to. -Light a bonfire symbolizing cleansing and new beginnings. -Play games with apples, such as apple bobbing in water. -Leave an offering of food outside your door at night with lighted candles. This custom eventually led to the trick or treat tradition. The first blog I wrote was about how we should change the current calendar to reflect the natural cycle. Our holidays mark past religious and political events, but none of them recognize the cosmic transitions we pass through four times a year. This was not true in ancient times. Olden cultures noted astronomical events with celebrations. Today, the autumnal equinox, is a day to party, but most people don’t think of it as a holiday. To the Celts, it was a harvest festival called Mabon, a time to give thanks for the bounty of summer. It is also a time to reflect on our good fortune. The Celts divided the year into light and dark halves, and this is the day we move into the dark part, when darkness exceeds the light. All creatures, plant and animal, begin in darkness and grow into the light. Light and dark represent many aspects of our lives, good and evil, knowing and unknown, life and death. Here’s how you should celebrate Mabon, according to the Celtic Oracle. -Begin some form of study or other home pursuit. -Complete repairs to buildings or anything else that will be needed during the winter. -Enjoy indoor activities, such as storytelling, making music and feasting.